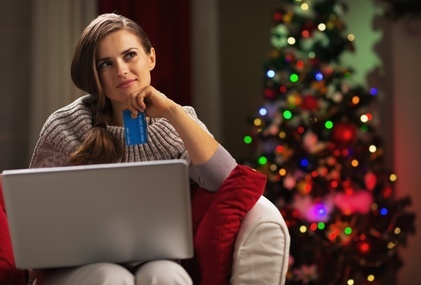 Holiday decorations create special mood and encourage your website visitors to begin with a shopping process, especially if you offer gift cards and generous discounts. The right header decoration as well as holiday banners will do the trick and help your consumers dive into the rich offer of merchandises. In addition to your website decorations you might also upload holiday banners to your social media pages where you are going to promote and advertise your holiday deals. To create a special communication atmosphere you can put holiday live chat icons to your website, upload holiday live chat logo and add holiday greetings to your email signature. This way you will not only bring holiday mood but also will greet your customers and website visitors with coming holidays. Manage customer expectations on wait time and product availability by keeping them informed of their order status and traffic flow. You can exceed customers expectations by adding something extra, like additional discount, free item or just a thank-you note. People will appreciate this gesture and will become your loyal customers in the future and may share this pleasant experience with their friends in social media networks. You can also ask your customers to fill out holiday survey to ensure they are satisfied with your services and be timely informed in case there are any issues or complaints. Train employees about event details and promotional items. This will ensure that your team is well-organized and can handle customer requests efficiently under holiday shopping pressure without creating a mayhem. If you use live chat software as your main customer service channel you’d need to have more customer care representatives to be online during the rush hours. Inability to handle chats quickly or even leaving them unattended will lead to distrust and customers’ dissatisfaction which in turn will call your credibility into question. However, if your team is ready to face new challenges and utilizes all available customer support channels to their full potential, you will be rewarded with additional bonuses such as customers’ loyalty and positive feedback about your brand. Lots of shoppers will rely on social media to discover gift ideas. Many of them will discuss them on Twitter and suggest best holiday deals. According to Twitter’s latest study this engagement drives sales: 54% of users said that promotions they learn about on Twitter motivate them to buy. So, don’t delay with advertising your holiday offer as positive feedback and reviews will encourage online shoppers to purchase in your store. Offer discount coupons on your Facebook company page to drive Facebook users to your store. People love getting coupons and will recommend your store to their friends. Moreover, Facebook allows adding such a tab easily with help of special app. A WOW moment is not just about a discount or excellent customer service, it’s about an act of genuine care. And therein lays the magic. Some pretty small stuff, a kind word, a smile, a gesture of kindness or recognizing your returning customers will make them feel valued. All of us remember those great moments of customer service, those little things which allow a company to stand out from the competition and keep customers coming back again and again. Just do not forget about creating magic customer service moments in today’s world of PC to person interaction. Treating your customers like human beings is the core of your business success. Can you recall such WOW customer service moments? You are welcome to share them with our readers. This entry was posted in Articles and tagged customer service, customer service moments, holiday customer service. Bookmark the permalink. We are a service industry. Property management is our main focus.every time we come in touch with either a tenant paying rent or an owner calling in for informationabout their statement we try our best especially if it’s a complaint to keep the softness Voice possible.when I first started my company in 1991 a lot of tenants would scream and yell trying to be heard and it was very hard to be nice but that’s what I had to do keep my calm and try to handle the situation the best way I could. Each person wants to feel heard and to be understood..One of things I find amazing is how a lot of people come in and give us gifts because we are so polite in our service that they cannot resist liking us. Thank you, Mae. It’s true that when you offer polite and great customer service people appreciate this and stay with your company. Such a rich and well organized article that achieves the essence of its composition. Bravo!! !